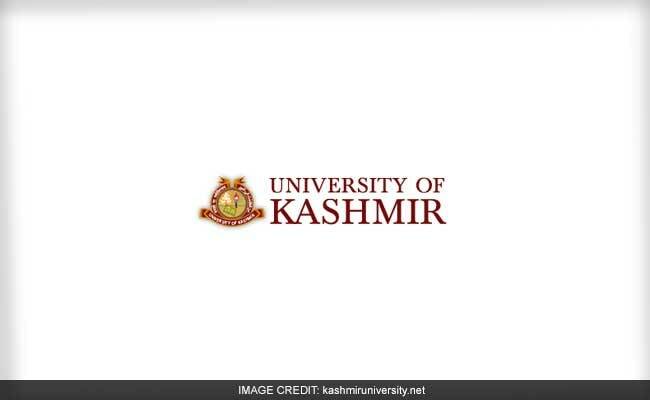 New Delhi: In a statement posted in the official website of University of Kashmir, it has notified that all Kashmir University examinations scheduled to be held up-to (and including) April 12, 2017 (Wednesday) are postponed. Fresh dates for deferred exams will be notified later, said the statement. "Meanwhile, the examinations in Cold Zone (Ladakh, Kargil, Nobra, Zanskar and Gurez) are postponed up to April 16 in view of inclement weather conditions there. Fresh dates for these examinations shall also be notified separately", said the statement. A notification posted in the official website of Kashmir University on April 8 has said that the Exam for the Courses of Basket-III & VII (1st Semester, 2016) and Basket-III ( 2nd Semester,2015) which were postponed on 6th of April due to inclement weather will now be held on 10th of April, 2017. This latest notification now will affect these exams also. The Srinagar-Jammu national highway, connecting Kashmir Valley with the rest of the country, remained closed for the fourth consecutive day yesterday due to landslides and shooting stones triggered by rains and snow. "The national highway is still closed for traffic and no vehicle has been allowed to ply either from Jammu or Srinagar today," an official of the Traffic Control Room told Press Trust of India. He said the rainfall occurred at regular intervals in most of the areas along the highway yesterday, especially between Jawahar Tunnel and Ramban, resulted in occurring of fresh landslide in Ramsoo area and shooting stones at Panthyal and other places.